Likud fires back after former PM says leak on hacking of Gantz's phone is meant to take attention away from Netanyahu's investigations. 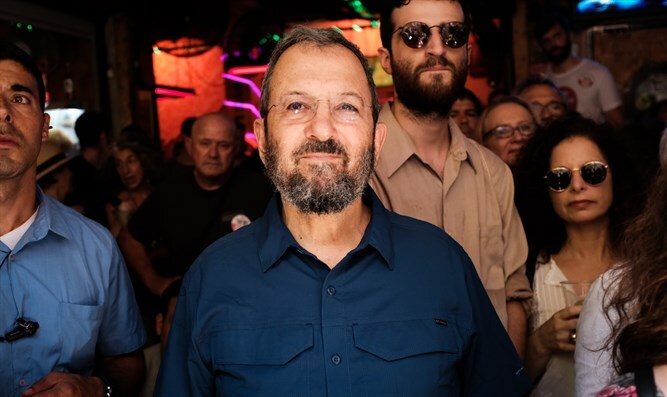 Former Prime Minister Ehud Barak was interviewed on Kan 11 on Friday and related to reports that Iranian intelligence broke into the personal mobile phone of Blue and White chairman Benny Gantz. "I do not know if the Iranians hacked the phone. Gantz does not have any important political or intelligence information. All the leaks about him came from his detractors. The goal is to slander Benny Gantz. This is campaign inspired by Netanyahu,” claimed Barak. "We are dealing with the mobile phone, instead of the story of the corruption of the Prime Minister - the Attorney General did not do his job. He had to reopen the investigation in Case 3000. Zero in security, 100 in survival," Barak added. The former prime minister continued to discuss the investigations against Prime Minister Binyamin Netanyahu, saying that "the entire State Prosecutor's Office says that there should be bribery in Cases 1000, 2000 and 4000. I am certain that Case 3000 will turn out to be extremely serious." Case 3000, also known as the submarine affair, centers around allegations that Netanyahu’s personal lawyer, David, Shimron pushed for a multi-billion shekel deal to purchase new submarines from German conglomerate ThyssenKrupp, which was a client of Shimron's. Police have stressed in the past, however, that the Prime Minister is not suspected of any connection to the affair. In response to Ehud Barak's remarks, the Likud said, "We will not accept preaching from Ehud Barak, who was saved by the skin of his teeth in the case of the Barak organizations, only because of [Yitzhak] Herzog's silence, and who refuses to report over what he received $2.4 million from the Wexner Foundation. We will also not receive preaching about security issues from the most failed prime minister in Israel's history, whose hasty departure from southern Lebanon led to the creation of an Iranian terror front against Israel."